CMA’s youngest music students are having a blast as they begin their musical journeys in the Discover Music for Kids program. Cincinnati Music Academy designed the DMK program specially for children who have never played an instrument but would like to explore the world of music. These private lessons are a great option for families to test the waters before committing to lessons on a single instrument. A parent or guardian is present for all lessons. Teachers Nancy Egan, Saul-Meyerson Knox, and Julia Higgins have had a busy fall with their DMK students. 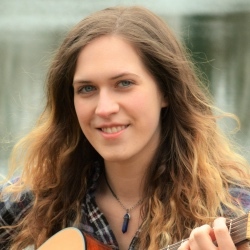 Some of the activities the teachers offer include basic instruction on piano and ukulele; singing with their students; and helping them to compose their own music. Currently Nancy is leading several students through percussion, Orff instruments and piano; Saul and Julia are working with students in ukulele instruction. This first grader has been in the DMK program since the spring of 2017. Throughout, Nancy has used solfege (as in Do Re Mi) to move from one instrument to the next. 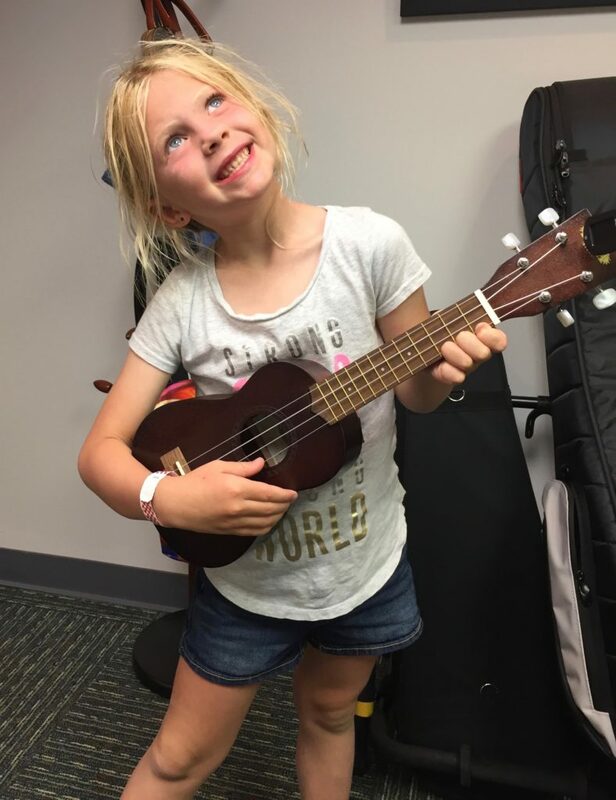 This ear training helps her to readily understand a melody and be able to quickly play it on the ukulele. She will take part in a recital later this month. 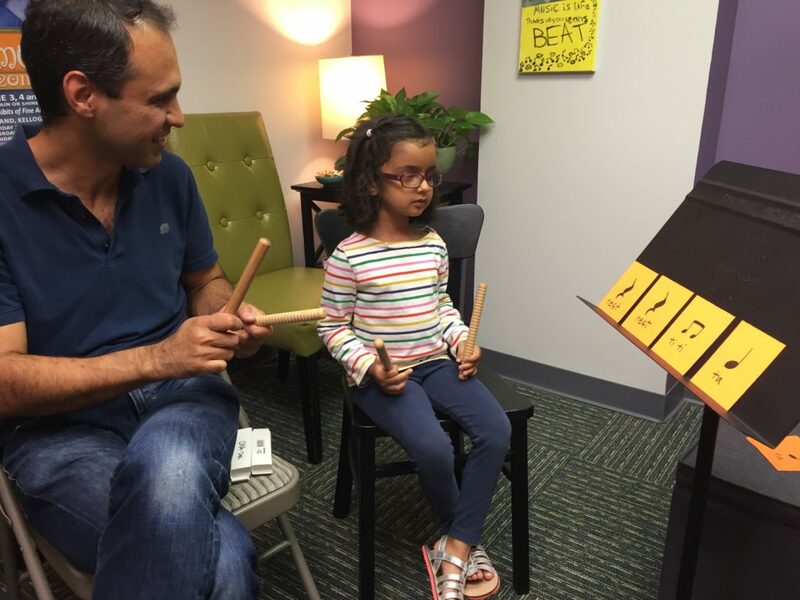 This preschooler has taken DMK lessons with her father since the summer and has learned about rhythm through playing on drums, rhythm sticks, and tambourines. She is starting to learn about how to communicate about music using solfege hand symbols and recently did a drawing project that focused on listening to classical pieces and expressing the dynamics with artwork.